*Although, I do not recommend students read this, as it is juvenile fiction and has many questionable situations and topics for children. Have I told you I love John Green? I first read his biggest book, The Fault in Our Stars, because it was the required summer reading at my husband’s high school. I like to read the books they choose, because they’re usually pretty relevant, and there is often a movie that comes out. (Think Maus and Hunger Games.) I’m waiting impatiently for him to tell me what their next book is. Anyway, I love John Green. He writes the way people think… like a train of thought. He writes characters that are relatable. People you might know, or went to your high school and never noticed. But mostly, I think I love the way he writes things you can make all kinds of connections to, and then lets you decide their significance. My goodness, and his research… he must do crazy research to make his stories so believable. Who knew there was such thing as a paper town, or that flowers floated in the air in Amsterdam in the particular way he described them? Anyway, if you’re a mature reader, you should check him out. This was the second book of his I’ve read, and it’s 2 for 2 so far with me. So Paper Towns. It’s about a boy named Q and Margo Roth Spiegelman, the girl next door (literally). She is popular and idealized and idolized, while he is just a senior boy who hangs out in the band room, but isn’t actually in band. Q has his circle of friends and big plans for his future, while Margo is a little unstable. She takes him on an adventure one night, and after that, he falls in love with the person he thinks she is. As the story progresses, however, he learns more about who she really is, and he learns more about himself, as well. That’s a pretty lame summary of the book, but I’m terrible at summarizing without giving away too much. Think John Green and what I love about a book: powerful characters, makes me laugh, underdoggish. What I liked about this book: Listening to an audiobook has a whole different feel than physically holding it. I listened while I ran each evening, and I have to say, it actually motivated me to run. I think I actually exercised 6 nights in a row, just to continue listening. It was a mystery that had to be solved. Where was Margo? And why was she there? And what was she trying to prove? And why was Q willing to risk everything to find her? And seriously, why didn’t Q have a girlfriend already? He sounded like a guy I’d be friends with in highschool. (Oh, that’s probably why he didn’t have a girlfriend- I remember one particular person who I hung out with in highschool. Great person, but on a different level.) Anyway, it was a puzzle, and I wanted to hear it get solved. What I didn’t like about this book: There was a detailed suicide victim in the first chapter. I don’t do well with suicide. And at one point (or a few points), Q thought Margo might have been dead, as well. I can’t deal with that. So next, I’ve heard Looking for Alaska is good. That may be my next audiobook. I’d rather not buy it if it’s not appropriate for my students. John Green will just have to remain my workout buddy. 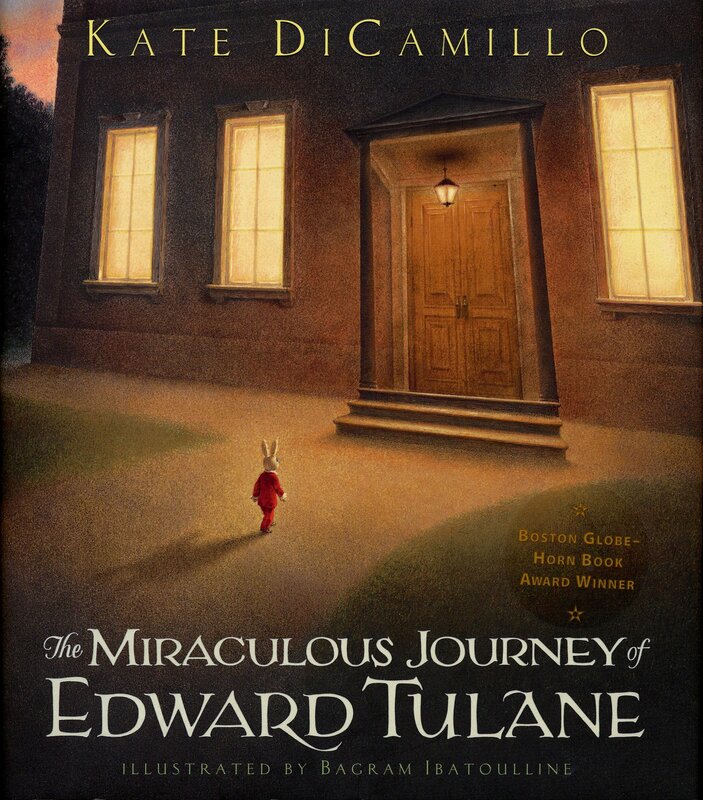 What I liked about this book: I haven’t read a Kate DiCamillo book before, but I enjoy her style of writing. She is incredibly descriptive, and you have as much disgust for Edward as distrust for Pellegrina as the author meant for you to have. You can see the flecks of gold in the little girl’s eyes and smell the dump or taste the salty ocean water. I also enjoyed the way DiCamillo used short, precise sentences and phrases to make her point. Something about the writing made me want to keep reading, even over the character description and desire to see what became of Edward. What I didn’t like about this book: There was something that happened in this book that didn’t sit right with me. Everyone has their thing that makes them uncomfortable or upset or distressed and prevents them from enjoying the book or movie, whether it’s cruelty to animals, foul language, etc. Suicide is one for me (although not the case in this book). The particular event in this story made me cry big fat tears, and while I finished the book, it really took away from the meaning behind it, because I was so distressed about what happened. For most, it would probably be no big deal, though. I’d say that overall, the message of the book is powerful, and worth the read. Thank you for recommending and lending me this book, Megan! I have to say, I don’t normally pay any attention at all to best sellers lists, recommendations, reviews, etc. when it comes to books. I like what I like. I’m not ashamed to say I prefer children’s and juvenile literature to anything in the “adult” category. I DO judge a book by its cover. Sometimes I pick an author and read everything he or she has ever written (John Green, Roald Dahl, Daniel Handler/Lemony Snicket). I love reading a book right before the movie comes out, no matter how lame the book or the movie (Warm Bodies, the entire Twilight series, The Descendants). I happen to really like zombie romance novels, and the thought of reading Fifty Shades of Gray embarrasses me. When I think of the NY Times Best Sellers list, I think of The Notebook. (I literally threw that book in a train while traveling in Europe, and the only regret is that the window was closed.) I think of the books about that girl that did stuff with hornets and dragons and they made a movie about her and she looked all goth… I couldn’t make it past page 50. I think of The Help. Actually, that was a pretty good book. In most cases, I don’t think of books that would interest me, that’s for sure. Have you seen the NY Times Best Sellers in juvenile fiction (my favorite category, and yes, I realize I’m almost 35) for this week? The Fault in Our Stars (John Green) Finished this a month ago- my first John Green! The Book Thief (Markus Zusak) First on my summer reading list. Looking for Alaska (John Green) Will be reading/listening to this. *almost done! 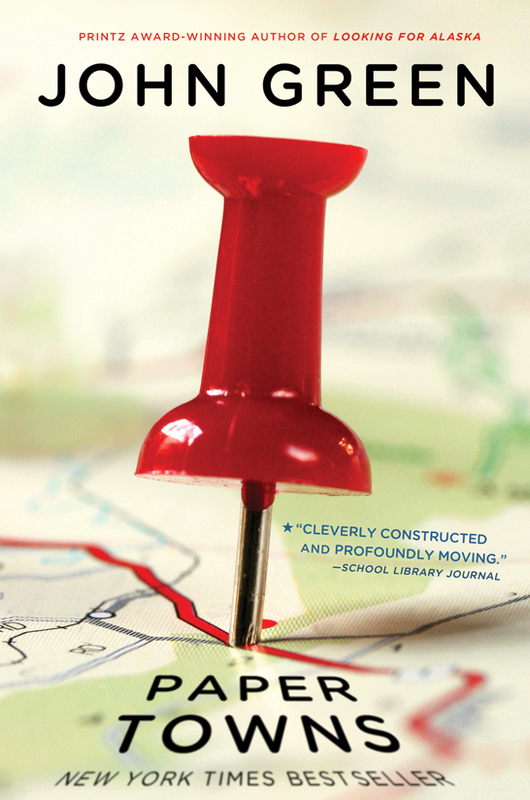 Paper Towns (John Green) Currently listening to this via audiobook. Check! 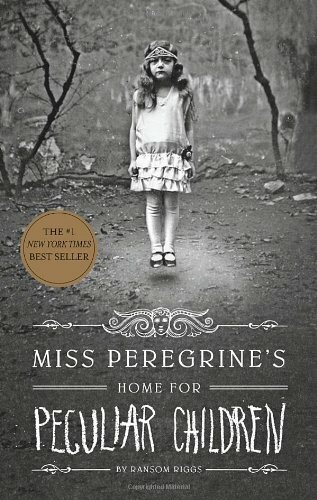 Miss Peregrine’s Home For Peculiar Children (Ransom Riggs) See earlier post from today. 13 Reasons Why (Jay Asher) Blech… suicide… can’t do it. Eleanor and Park (Rainbow Rowell) Interesting cover… might have to check it out. An Abundance of Katherines (John Green) Will be reading/listening to this. I didn’t expect to recognize, much less have already read, several of the titles. I skimmed the middle grades list. I didn’t know them all, but I recognized a few of the titles. Maybe the NY Times knows their stuff after all. I’d heard about this book here and there. One of my students ordered it in a book order and the title sounded interesting, but it was long before I even considered my reading challenge. (I was all “read, read, read!” but I never actually picked up a book myself- what a hypocrite.) When I heard that my love, Lemony Snicket, was interviewed by Ransom Riggs at the Festival of Books last weekend, I googled Riggs to find out who he was and saw he authored this book. If he’s good enough to share a stage or a platform or whatever with Snicket, he must be worth reading. Not to mention being on the New York Times Best Sellers List, but you know, that’s secondary. What I didn’t know about this book was the fact that it is dark- Harry Potter dark. There are parts that might not be appropriate for younger readers, and I have to admit that my heart raced a few times after some of the creepier parts. I came to school and scolded my student who let me borrow the book for not warning me that I’d get creeped out! She, of course, just laughed at me and told me it didn’t bother her. Once you get past the initial shock, though, it’s not so bad. The story starts out with a boy named Jacob and a family tragedy. Have you ever lost someone in your family, and then realized there were so many questions you wanted to ask that person, but never got a chance? My grandma died when I was in college, and while I have been told I had a lot in common with her, there are so many things I wish I’d had the chance to talk to her about. So anyway, Jacob loses his grandfather and then discovers this past life he had, these secrets he’d kept (but not really), and explanations for why his grandfather was so cuckoo. He travels to a Welsh island with a long history that helps Jacob understand the stories his grandfather told, and meets some new friends (and enemies) while he’s there. I can’t tell too much about what happens without giving the story away, because anything I’d say would be too much information! There are plot twists and chapter cliffhangers that I don’t want to spoil for you. I can’t talk about this book without mentioning the pictures. Riggs collects old photographs and built back stories and plot twists around the photographs. They really add to the story and the characters. However, I sometimes had to look ahead to see if there was a bizarre picture, especially if I was reading at night. I didn’t want to dream about the images or wonder if a white-eyed wight was waiting for me in the hallway. What I liked about this book was…nearly everything! I’ve said before that I love books with well-developed characters, and this book has many well-developed characters that you grow to love throughout the book. The main character is the typical underdog you can relate to- a teenager, misunderstood by his peers, highly intelligent, with a kind heart, and a do-gooder attitude. You just like the protaganists of the story, and hate the antagonists. That’s what you’re supposed to do, right? What I didn’t like was that it was a little Harry Potter-ish. Don’t get me wrong- I enjoyed Harry Potter. I read all of the books and saw all of the movies the weekend they came out in the theater. I started to sense a pattern, and it became a little predictable. And I didn’t expect the story NOT to end when I finished the book. So, I guess that means I’ll be starting Hollow City tomorrow! Thank you to Daniela for lending me both books. I love when a student can recommend a book for her teacher! 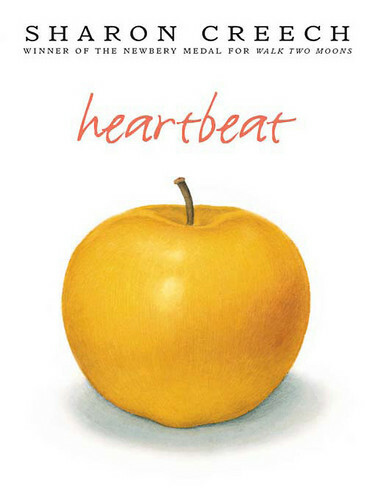 Heartbeat follows a girl named Annie, about 12 years old, over a time period of about 9 or so months. Annie has many worries that plague her, but she is a thoughtful, determined (sometimes stubborn) young girl who keeps a lot to herself. She has a best friend named Max, and they share a passion for running, but have very different views of their places in life. Annie is given several assignments, and she demonstrates a maturity beyond her years when completing them, while learning more about herself. What I loved about this book was the way it was written. I also loved that Annie was such a real character with real problems and real joys. She was able to reflect on her experiences and seemed to know herself pretty well. While some might see her as not fitting in, she showed maturity, and did not let anyone push her around. She is a generous, giving young woman, as well, and was not afraid to speak her mind. And I loved the apple art lesson! It made me want to buy a Costco bag of apples for school tomorrow. While there isn’t much I didn’t like about this book, it didn’t hook me as much as other books have. It was good. I have no complaints. It just isn’t in my top 10. I would recommend reading it for the reasons listed above, especially for the experience with an entire book written in poetry! 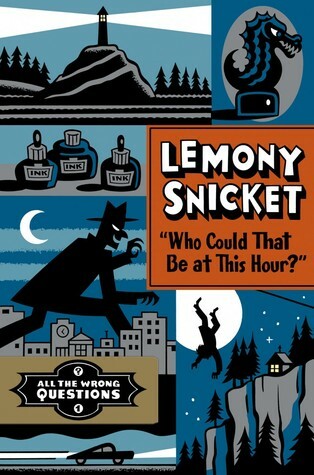 I am a huge fan of Lemony Snicket. If I had to compare, he would be my Johnny Depp of authors. Meaning, I’m a fangirl and would probably squeal like a sixth grader at a One Direction concert if I ever actually got to meet him. Hopefully, if I ever do get the pleasure, I’ll show some restraint as not to embarrass myself TOO much. I have been recommending A Series of Unfortunate Events to my students for many years. I usually read “The Bad Beginning” to my class and then let the awesome writing take over, and I don’t see any of my books until the end of the year when they have to turn them in (begrudgingly). So when I found out (from a former student, no less) that he was coming out with a prequel, I was, of course, excited. “Who Could That Be at This Hour?” is book one, and the main character is an adolescent Lemony Snicket. We follow him as he starts out his apprenticeship solving the case of the Bombinating Beast in a town called Stain’d by the Sea. He proves, of course, to be smarter than his chaperone. Just like ASOUE, we are left hanging at the end of the novel. The problem is somewhat resolved, but the villain is still out for the capture, and we look forward to his next chance. What I didn’t love about this book: It made me feel a little lonely. Maybe I’m used to ASOUE where there are 3 orphans to keep each other company. I felt like his characters are always so well-developed, maybe they just weren’t as “meaty” in this one. However, that will not deter me from picking up the next book! I look forward to reading the next book, if I can hold off until this weekend.